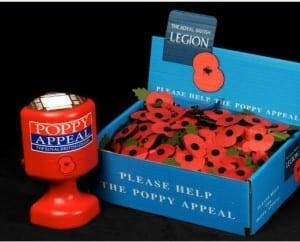 THE British Legion has distributed six official poppy boxes in the Sabinillas area, after it was revealed the entire stock had vanished from a store-room earlier this year. 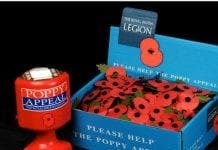 It looked as if there would be nowhere on the Western Costa del Sol to donate in return for a poppy. The Legion’s Estepona branch – which has announced its forced closure due to lack of members – even issued a warning about potential ‘illegal’ poppies. But now, the poppy appeal co-ordinator for the region, David Harpin, has announced that six boxes have been taken to bars, after a kind offer from an ex-paratrooper to take them himself. There are now four in Duquesa port, and two in Sabinillas village, including Itzabar located next to the Mercadona supermarket. “All of the boxes bear this year’s Official Seal and each with my approval,” Harpin told the Olive Press.